1. These guidelines are for the interest of the general public, and in particular manufacturers and importers of Pesticides, Agrochemicals, Organic fertilizer and Fertilizers in Nigeria. 2. It is necessary to emphasise that no importation shall be made by any importer of Pesticides, Agrochemicals, Organic fertilizer and Fertilizers without obtaining import permit in accordance with provisions of NAFDAC ACT CAP N1 LFN 2004. 3. The Importing Company must be duly registered in Nigeria with facilities to effect a recall of the product when necessary. 2. The applicant shall obtain the prescribed application form on payment of prescribed fee. The application Forms should be duly completed and signed by the Managing Director and Technical Officer. 1. All payments to the Agency should be in Bank Draft /cash, payable to National Agency for Food and Drug Administration and Control (NAFDAC) account at designated bank. 3. Additional page for import permit is Twenty Seven Thousand (₦27,000) Naira only, while additional page on issued permit is Thirty Three Thousand Seven hundred and Fifty (₦33,750) Naira. 2. Only the Technical officer and/or Managing Director are permitted to process the application to obtain a permit to import bulk Pesticides, Agrochemicals and Fertilizers. 6. The Agency shall be notified of any change in location address of company, warehouse address, GSM number, or appointment of a new Technical officer; and submit the credentials of the new Technical Officer, the appointment letter along side with acceptance of appointment to the Director (VMAP). 7. 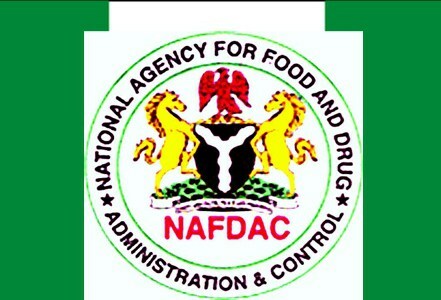 Companies manufacturing NAFDAC- regulated product using any of the imported pesticides, Agrochemicals and Fertilizers shall submit evidence of registration of all their products with NAFDAC or evidence of production approval (if new manufacturer). 9. Applicants can commence the submission of application for renewal of Permit from 1st November every year.